Peer Assistance and Leadership (PAL®) Middle School students attended a state conference on Saturday, November 5th at Akins High School in Austin, Texas. While at the conference, Jim Barnes Middle School PALs® learned more about being a student leader. Tory Gant, head of trainings at the conference, told his uplifting life story of positively overcoming a troubling childhood. Gant discussed family issues and how he managed to maintain a positive attitude even after the tragic deaths of over 20 of his siblings due to alcohol abuse, illness, and violence. With a radiating smile and electric storytelling, Gant now organizes trainings on peer leadership and gives motivational speeches to youth and adults. Notable workshops at the conference included “The Truth About Bullying,” “Dangers Without Intentions” (DWI) and “Busted.” In “The Truth About Bullying,” lead by Anson High School PAL® students, conference attendees learned more about bullying prevention and how to spot an incident. At the DWI workshop, students learned about the horrific and graphic truths of driving under the influence as well as the dangers of texting while driving. PALs® learned the importance of always wearing a seatbelt to keep your life and body intact. In the “Busted” workshop, PALs® learned about the experiences of young people that have been assigned to Juvenile Detention (JD) centers. Here PALs® encountered life stories of young people in juvenile detention struggling with the consequences of their poor decision making, describing what they have encountered along the way and how they have had to change their own ways of thinking to get their lives back on track. 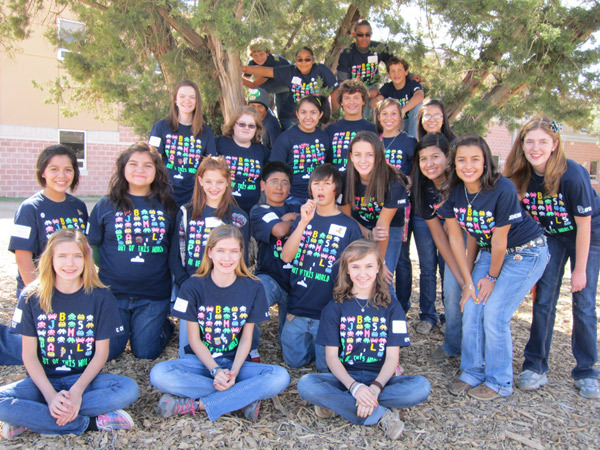 PALs® report meeting students from around the state of Texas in character building sessions and teamwork exercises. Overall, this year’s state PAL® Middle School Leadership Conference seemed to be one for the record books of great influence and positivity! For more on Jim Barnes Middle School please visit: the Jim Barnes Middle School website.